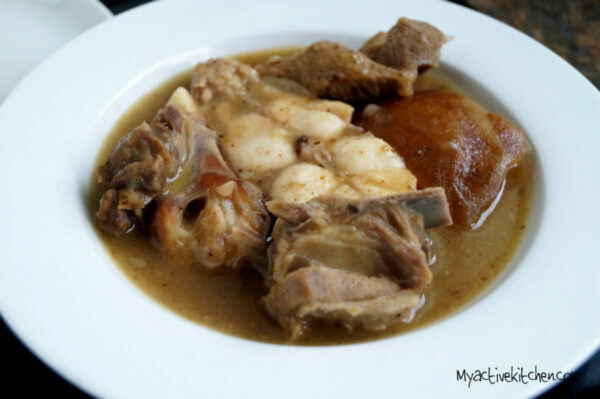 My first experience of afia efere (white soup) was at my uncles wedding some few years ago and boy did I enjoy it? I loved every bit of it. Everyone wanted to have a taste of afia efere also called white soup at the engagement party, it was a hit. I asked my sister in-law for the recipe and she was really happy to share it with me. I would want to believe white soup is prepared in different ways going by the bit of research I made. 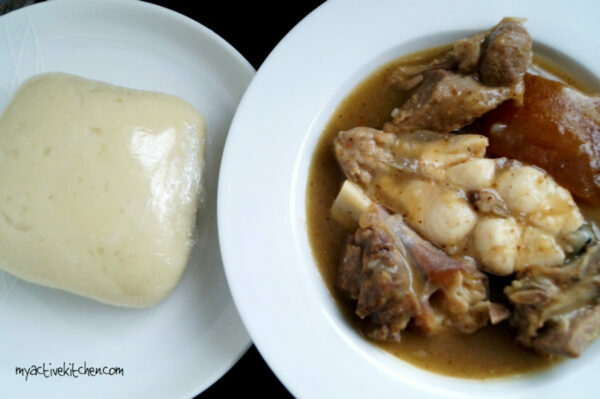 The key ingredients are pounded yam (as thickener), ogiri which can be substituted with dawadawa or iru (locust beans), Adrian fruits and pepper soup spice. 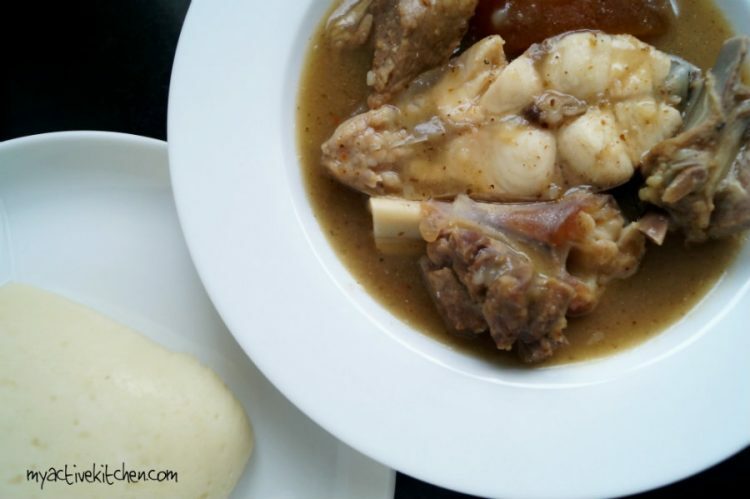 White soup is significant to the Ibos and Efik people of Nigeria. I doff my hat, those people sabi cook. 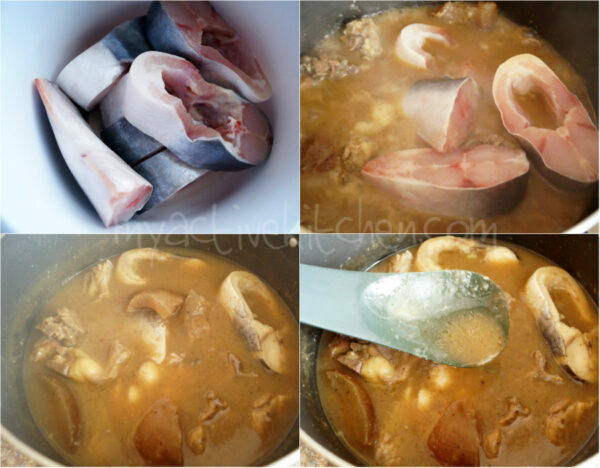 You can also use any protein of choice, hard chicken preferably and for this recipe, I choose white catfish. 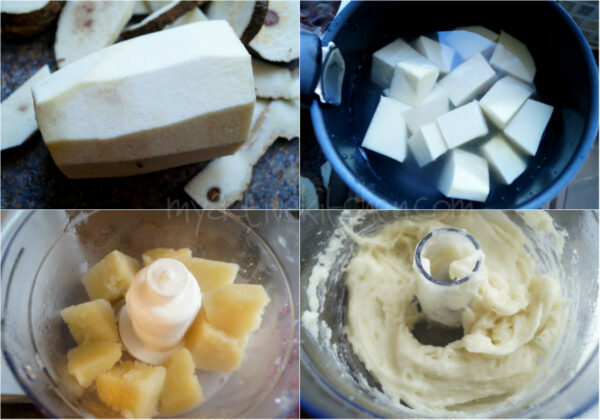 Afia efere can be enjoyed with pounded yam in fact for the first time, I tried pounded yam using my small/basic food processor and it turned out great. Though it is called white soup the colour is close to brown, it is very tasty and easy to make. 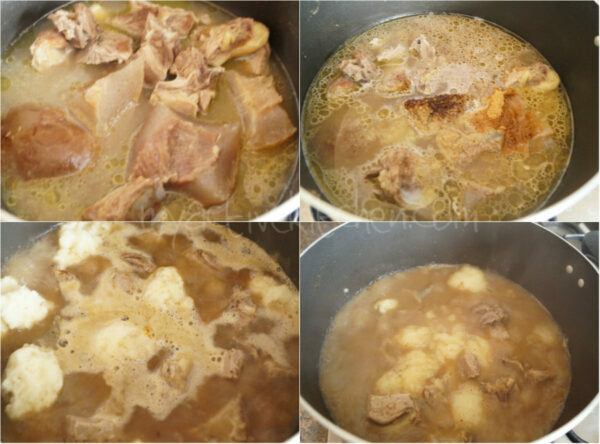 If you are yet to try afia efere or ofe nsala then get out your apron and let’s get cooking. There is no good telling you how simple, lovely and delicious it is if you would not be joining in. Come on foodie fam… Get out your cooking pot and let’s make some white soup! Take the pounded yam a little portion at a time and add to the soup, the pounded yam melts into the soup and thickens it. If the soup is getting too thick, simply add water and stir thoroughly to combine. Take it off the heat and serve immediately with pounded yam or any other swallow of choice. 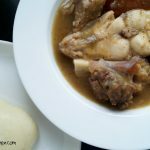 Take the pounded yam a little portion at a time and add to the soup, the pounded yam melts into the soup and thickens it. If the soup is getting too thick, simply add water till the desired consistency is achieved and stir thoughly to combine. This soup always wins! Welldone.